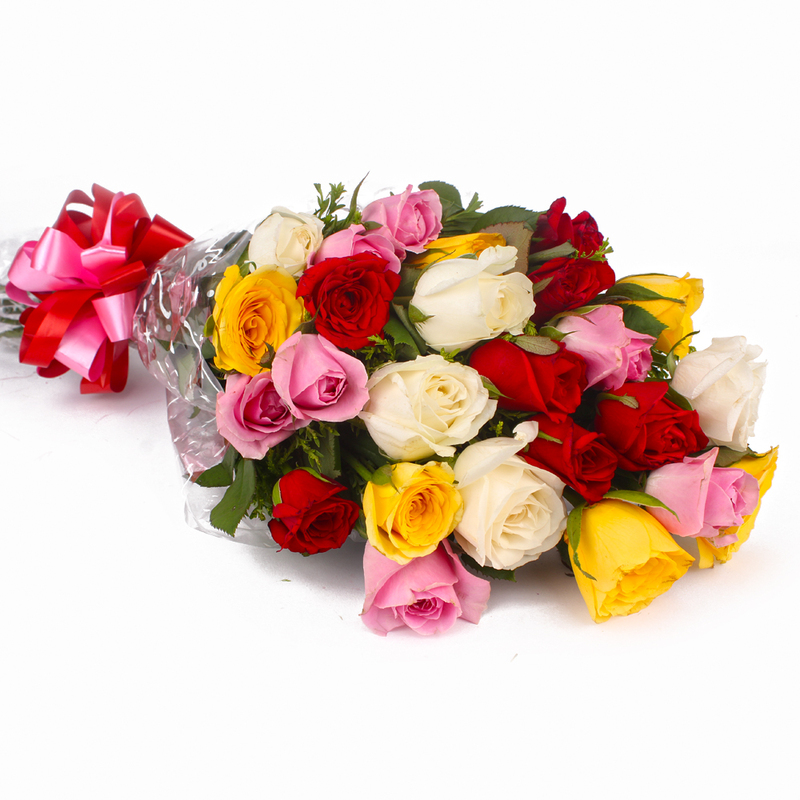 Product Consist : 25 Mix Color Roses with green fillers in Cellophane Wrapping with Ribbon Bow on it. 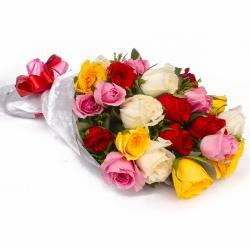 Enjoy the blast of colors with these vibrant colored. 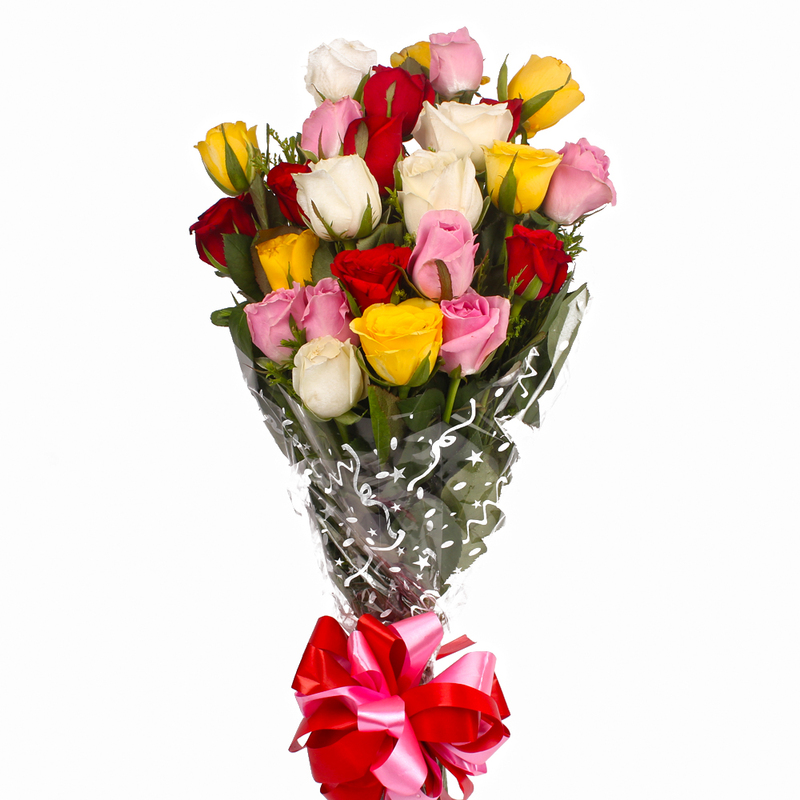 A nice bunch of twenty five roses in green fillers packed in a cellophane paper, with a multi-colored ribbon and lots of seasonal fillers. 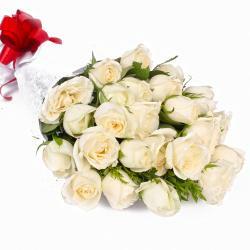 The aroma of the flowers will lift your mood and refresh your room also will relax you. 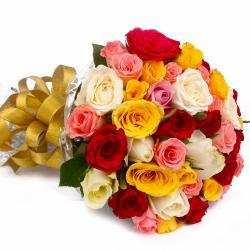 This flowers best for occasions Birthday, Anniversary, Missing You, Ganesh Chaturthi, Boss Day etc. 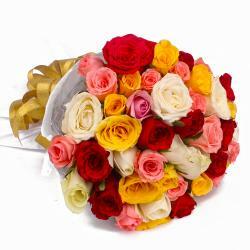 Product Contains : 25 Mix Color Roses with green fillers in Cellophane Wrapping with Ribbon Bow on it.